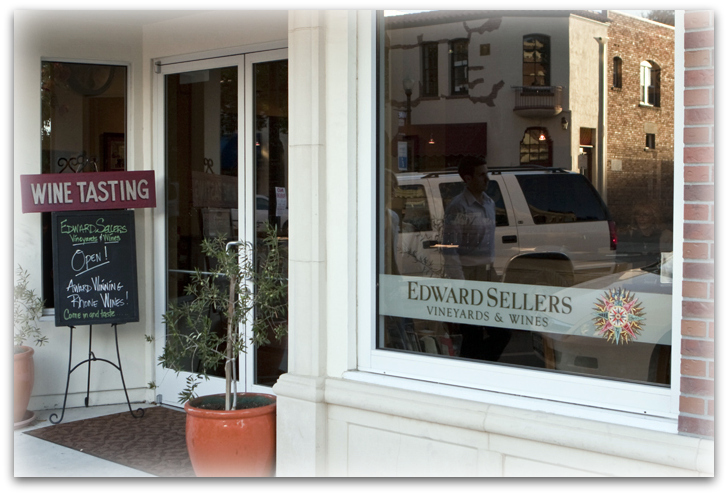 In the center of Paso Robles’ downtown is a square many come across during Paso Robles tours. 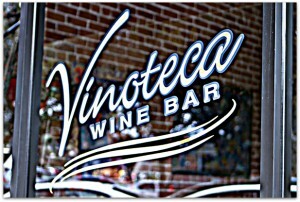 Vinoteca overlooks the square and is the favorite watering hole of many Paso Robles wineries’ winemakers, wine aficionados and wine enthusiasts. During our annual trek to Paso for Zin Fest, featuring Paso Robles wines, I sat sat down with manager Jeff Wiesinger for a visit to find out more about this unique place. 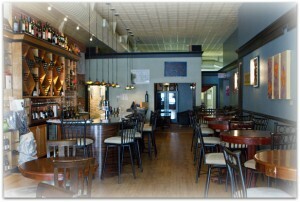 Cynthia Reed opened Vinoteca in June, 2000. 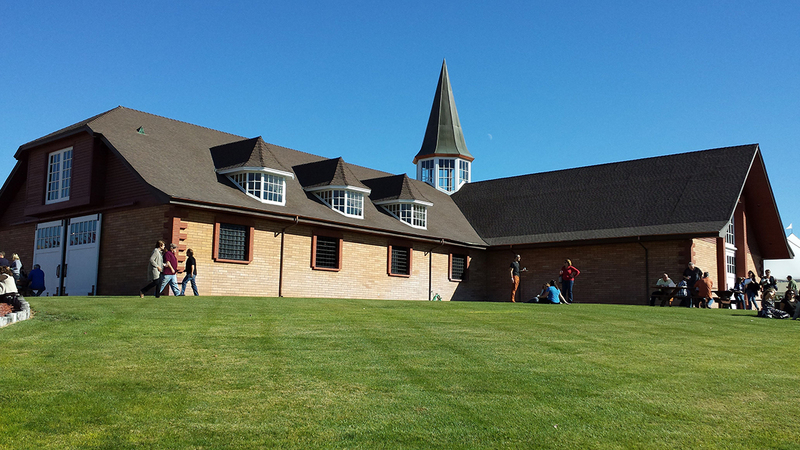 Her son, Craig, was at the time winemaker for the now defunct Martin and Weyrich. After establishing the business, she sold it to Rob & Pamela Sharp in January, 2009. Jeff came aboard four months later. Jeff’s first passion is food, which he discovered when he was 14. He decided the East Coast would be a good spot for him to get his formal training, so he enrolled in the renowned Johnson and Wales Culinary University in Providence, Rhode Island. He credits his dad’s love of wine for his “light bulb” moment which came during a beverage class. He learned most of his classmates didn’t know the difference between Cabernet Sauvignon and Sauvignon Blanc. “Wine’s always been a part of my life” he says and recalls visiting Santa Barbara when he was 17 and learning to sniff, swirl and spit. 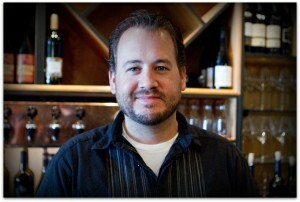 Jeff moved to Paso Robles in 2007 to pursue chef and/or personal catering work. He picked up a few jobs, all wine related, before meeting the Sharps. They hit it off instantly and he joined their team at Vinoteca. The first few things Jeff brought to the table were tapas that he paired with wine. 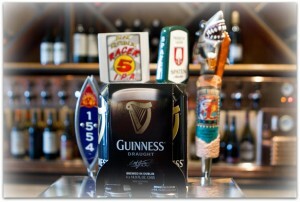 He also brought in a draft beer system, giving Vinoteca four beers on tap and about 20 premium beers in bottle. They also added a Cruvinet system for wines by the glass. Cynthia Reed started bringing in local winemakers when she owned Vinoteca, and Winemaker Wednesdays are a big part of what makes Vinoteca such a wine hub in Paso Robles. 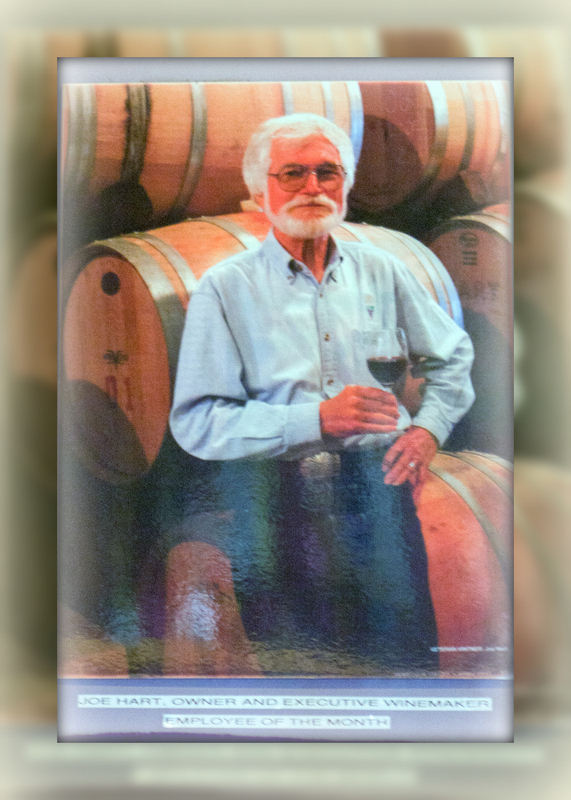 Each week, Jeff selects a Pso Robles Vineyard, tastes through their entire lineup and chooses three wines to serve. He then comes up with a tapa to pair with each one. 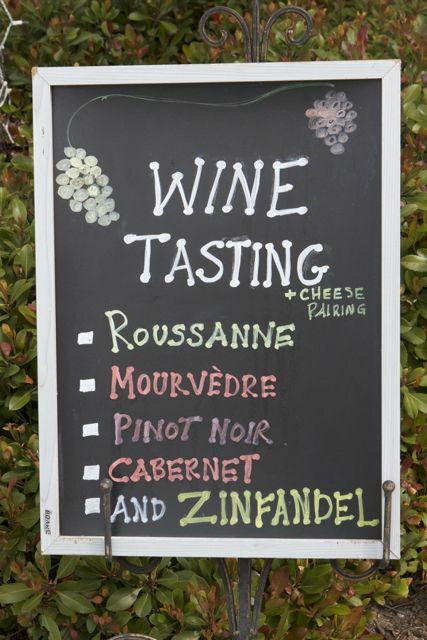 On Wednesdays from 5:30 – 9:00, the winemaker pours Jeff’s three selections as well as a bonus pour of his choosing that might be a barrel sample, a reserve or library wine. Four 3 ounce pours will cost you $18. Add three tapas paired to the wines and the cost is $28. In my book that’s a hell of a bargain. In the early part of the evening, more than half the room is occupied by winemakers and vineyard managers. 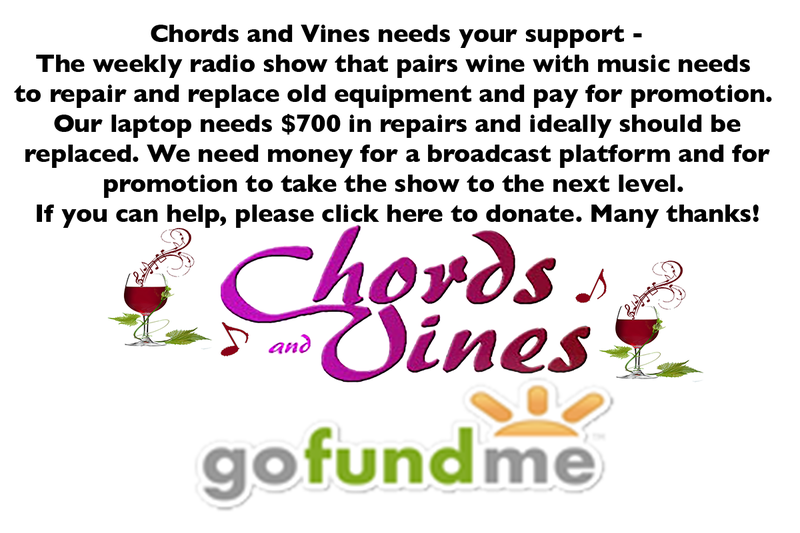 It’s an excellent opportunity to ask the people who made the wine what makes it so special. 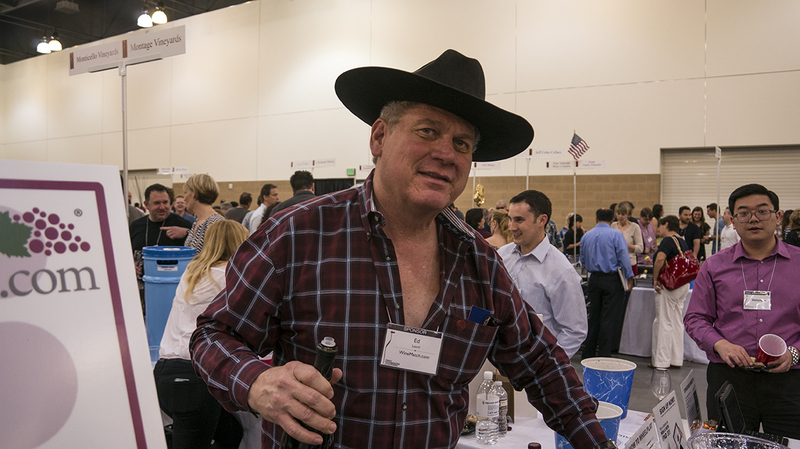 He and his staff pride themselves on their knowledge of wine, especially wine from the Central Coast, and they love speaking with their clientele, whether they be novice wine drinkers or advanced level sommeliers. “Our passion will shine through”, he says, and often you’ll “get the story behind it, often times where the grapes were grown… a funny little story about what happened when they were bringing these wines in.” His work at Vinoteca allows him the freedom to pursue his love of cooking and from time to time he picks up catering jobs and personal chef work. Not only is Vinoteca a favorite of locals, more and more tourists from Los Angeles and the San Francisco Bay Area are finding their way there. 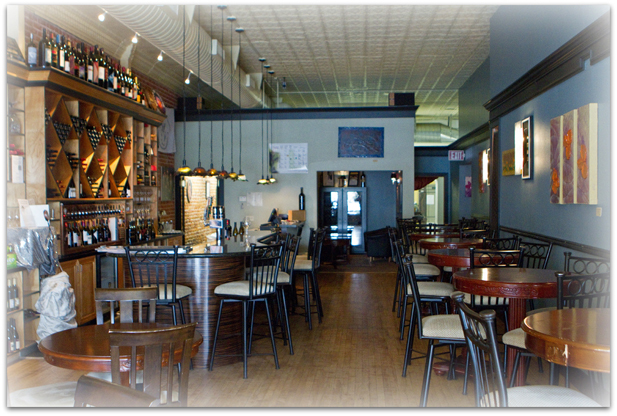 “It’s more than just the food and wine, it’s the arts, it’s the community, the lifestyle.” You will find local art hanging on the walls and live music on the weekends. Says Wiesinger “we’re victims of our passion.” He’s not complaining, mind you. 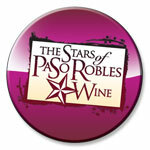 Contact us today for Paso Robles tours.